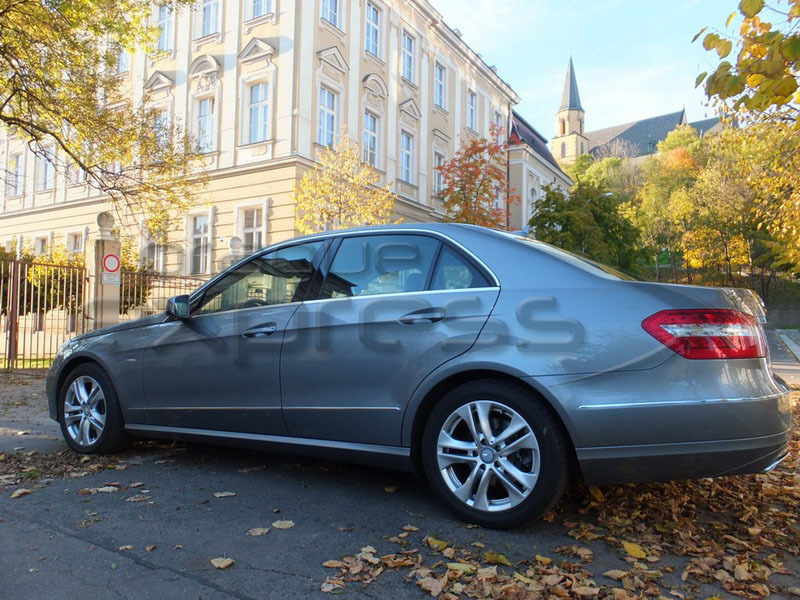 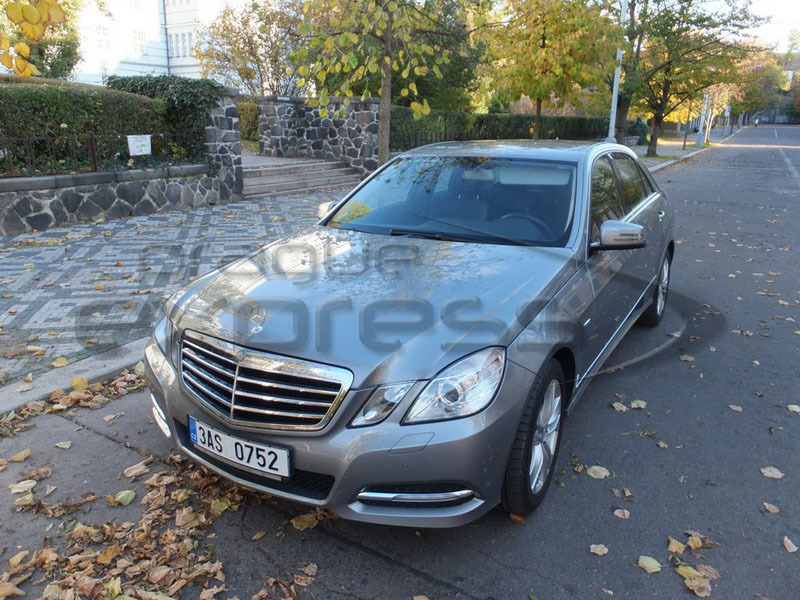 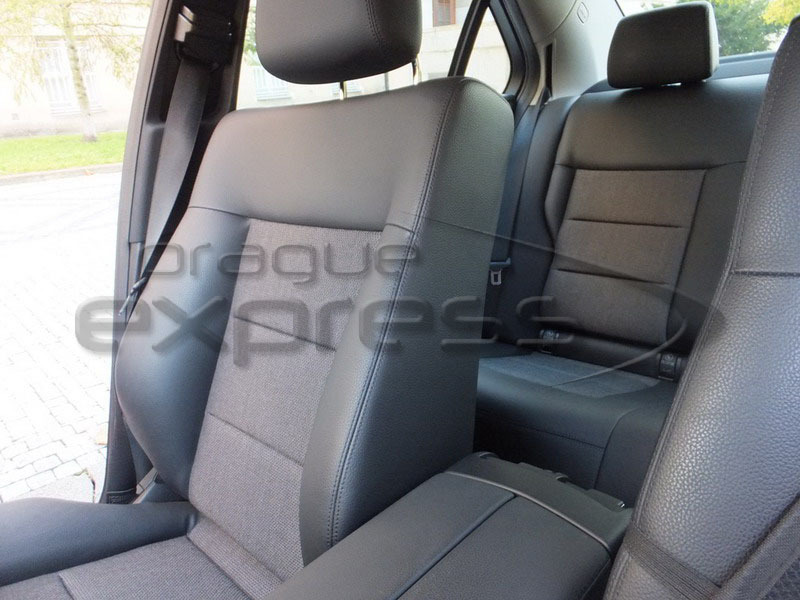 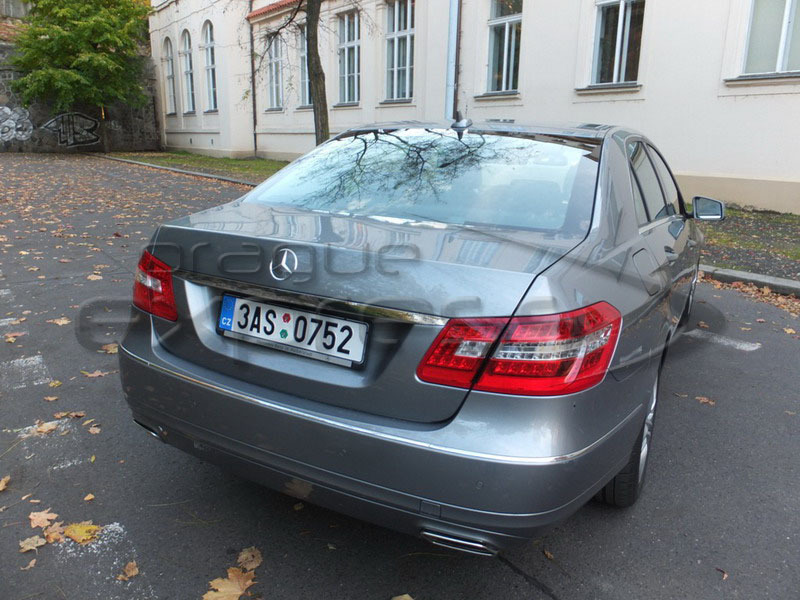 Prague Express offers rental of executive cars Mercedes-Benz E-class with driver in Prague, the Czech Republic and Europe for competitive prices. 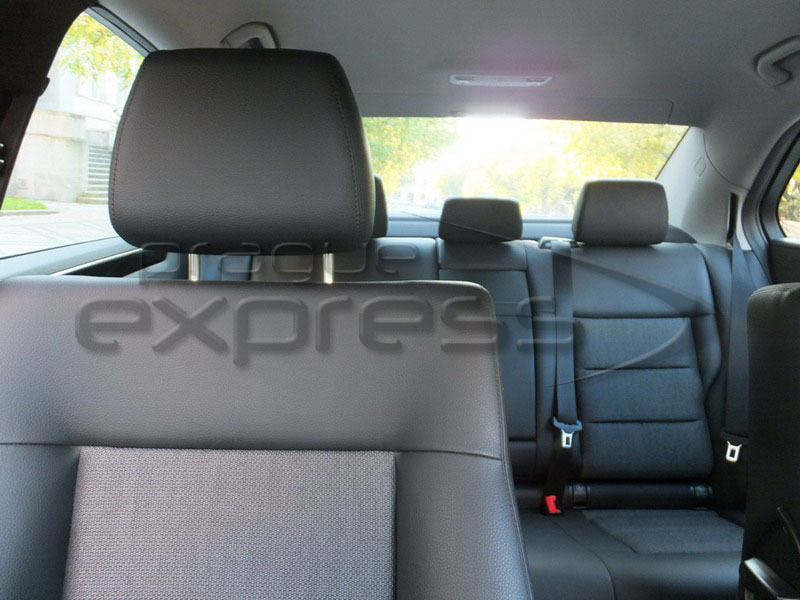 Interior and equipment of executive cars Mercedes-Benz E-class: combined leather interior trim, automatic climate control system, comfortable adjustable seats, front seat heater, 8 air bags, back seat equipped with folding center armrest, enabling ski transportation. 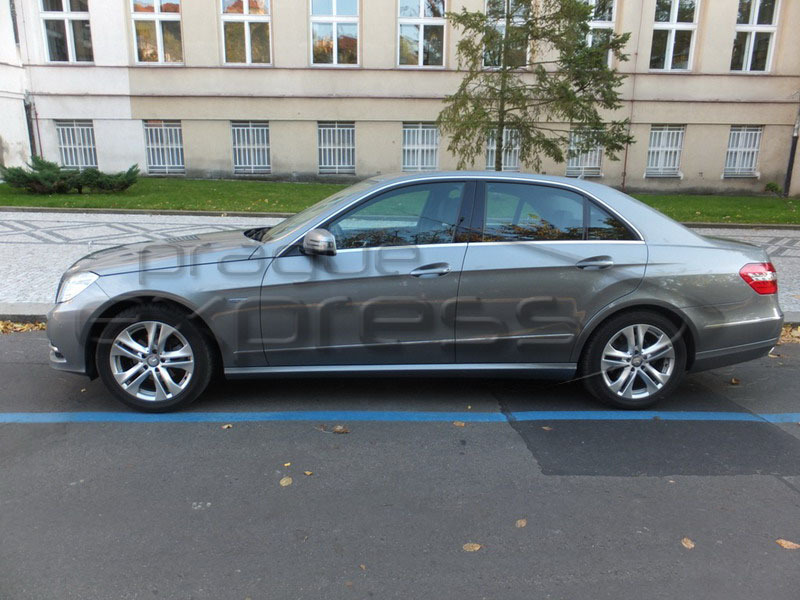 It’s a modern executive car, combining power and sophistication, which is a perfect solution for your business trips and vacation, for VIP guests, weddings, and basically for any event requiring transportation by a high-performance car. 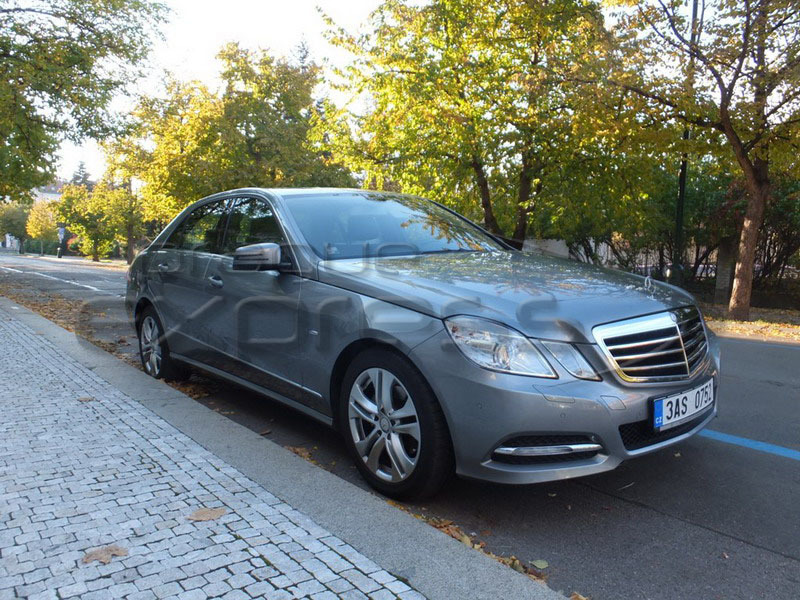 With our qualified and experienced drivers and in a car like this, comfort and safety are guaranteed even on a long distance trip.